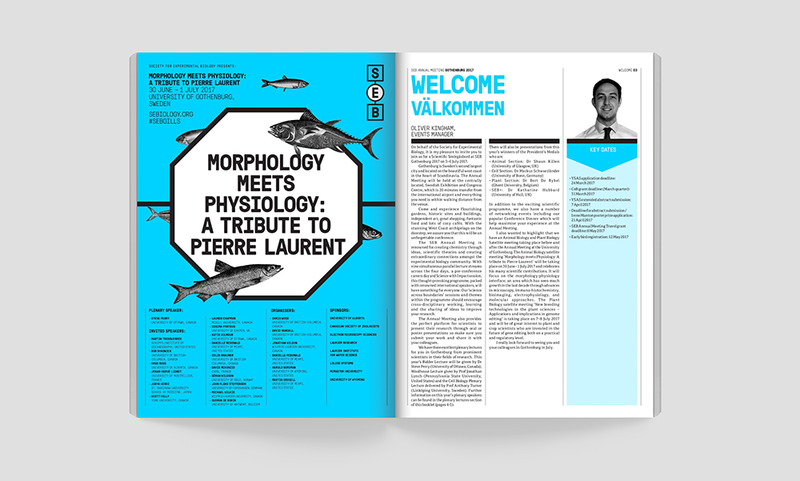 Translating a colourful offline brand to the web for SEB. Translating a colourful offline brand to the web. 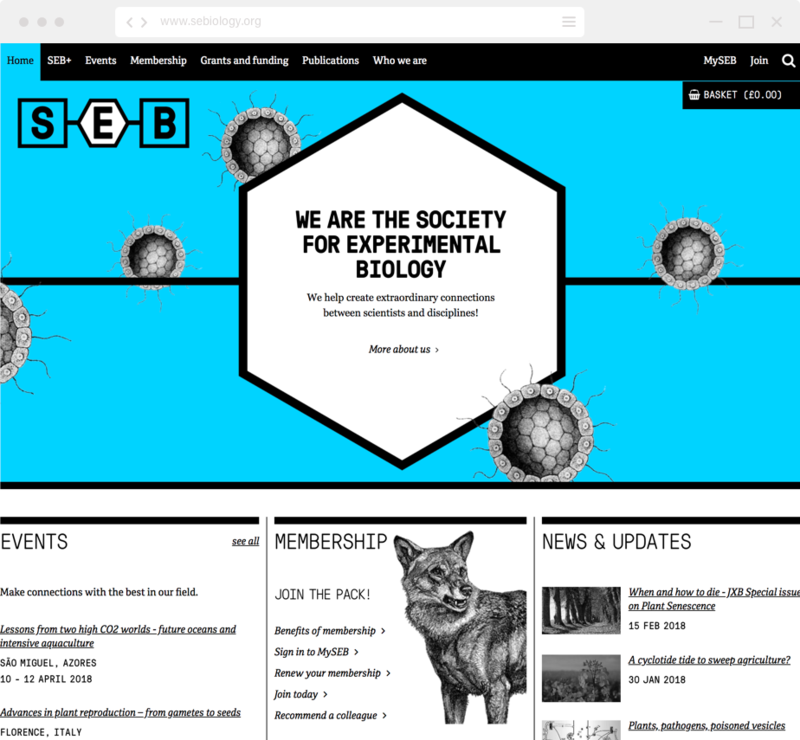 The Society for Experimental Biology (SEB) aims to promote, and increase the influence of Experimental Biology within the scientific community and society by developing the field of, and scientific careers in experimental biology, developing education and public awareness in experimental biology. They are a London based client who had gone through a rebrand and approached Quba to design and build their new website. The goals of the new website were mostly to improve the user experience of the website, particularly between the main website and the members area as well as improving efficiency of the admin process. My role in the project was straight forwards, to take a set of wireframes and apply the new brand, which was exciting because the rebrand was colourful and creative and it wasn’t difficult to see the direction that the design should take. The designs were tested with members of the society to identify further improvements and the new website has significantly improved the engagement of members and non-members. I built the front end markup by creating a style guide and pattern library that included all widgets and pages, before passing it on to the developers for them to integrate into Sitefinity CMS where I supported them with QA testing and design implementation.